When was the last time you felt great? Like, feeling blissful, pain-free, and energized? Sadly, too many of us are living with pain or disease with no easy solutions for recovery in sight. Fortunately, the rise of holistic health has provided encouraging options for alternative care when traditional methods have been unsuccessful. Although practiced for thousands of years, holistic medicine is only now being accepted into mainstream medical practices to relieve pain and even cure disease. A new federal report shows that Americans spend about $30 billion a year on complementary health approaches. “Sixty million Americans spend money of them each year,” Alexandra Sifferlin, Time health contributor, says. And 4.1 million children have used some type of complementary medicine. These include methods such as acupuncture, homeopathy, massage, chelation therapy, massage, and mind-body therapies, among others. Here are four popular holistic methods that can work alongside traditional medicine to give you the extra healing power you need. Essential oils have been used as healing agents for thousands of years. Depending on the type of oil, users can treat everything from depression and anxiety to a bladder infection. 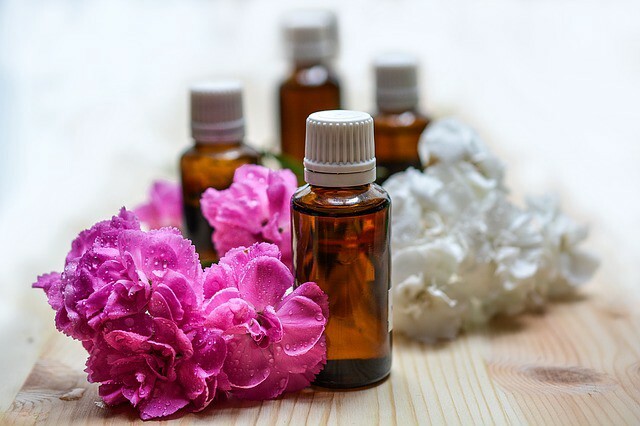 A study published by the American Journal of Critical Care claims that when using essential oils, researchers found “significantly reduced anxiety or stress” in patients. But scientists also indicated further testing was needed to be conclusive on the results. In one instance, prior to her patient’s radiation treatment, a nurse, certified in holistic medicine, provided an inhaler equipped with a blend of lavender and frankincense oils, which he used for 10 minutes before his treatment. She related that not only did he complete future treatments with greater ease, he asked if he could take it home to use before future appointments. Eventually, her patient completed his radiation treatments using only an essential oil inhaler and no medication to control anxiety. The practice of using water for therapeutic purposes dates back to 1700 B.C.E. “It’s based on the idea that water benefits the skin and might treat a range of conditions from acne to pain, swelling, and anxiety,” Laura Newcomer said. Practitioners also claim water therapy might boost a person’s immune system. The modern application of water therapy successfully controls pain relief, particularly in burn treatments. In other cases, pain is managed through underwater massage and mineral baths. In practice since the late 1700s, homeopathy is based on two principles: First, disease can be treated with “like curing like.” This means a trace substance that causes an adverse reaction when taken in large doses can be used in small amounts to treat the same symptoms. And the second principle, which believes that only the minimum dose should be used to stimulate the body’s healing process. Treatments are customized to each person for individual care. For example, for an infant suffering from severe colic or painful teething, parents can apply Chamomilla that encourages the body to soothe rather than using medicines that may exacerbate other symptoms. Many patients find success by using holistic methods to cure illness and disease, but others use natural healing to make their body more receptive to traditional treatments. Acupressure is a complementary treatment that uses fingers and hands to stimulate acupoints and maintain the balance of energy. Research shows acupressure may reduce nausea for chemotherapy patients and reduce anxiety in patients preparing for surgery. Nurses also use it to assist patients during labor, to help control chronic headaches, and other pain from trauma. Whether you are part of the camp that tells patients to take two aspirin and call you in the morning, or the one who heals by combining herbs, massage, and diet to balance body, mind, and spirit, the exciting juncture of holistic and traditional medicine can bring hope and increased health.